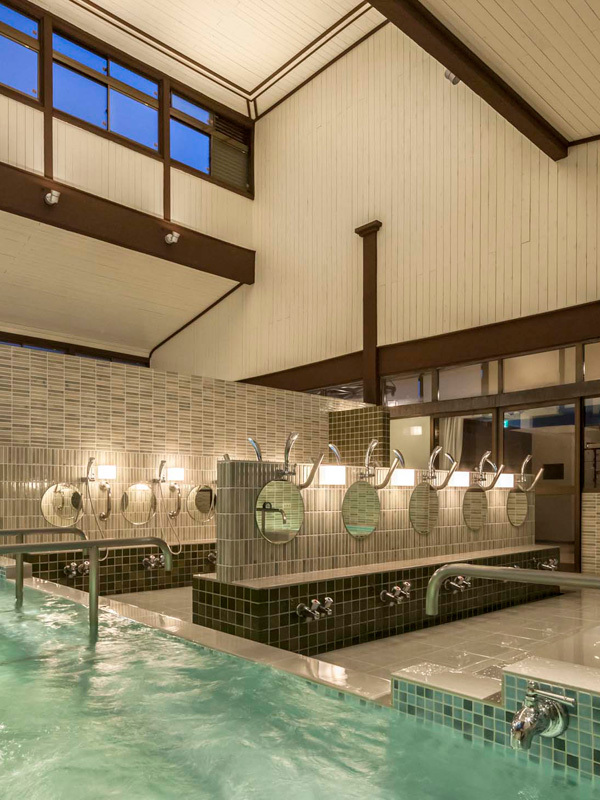 Renovation of a wooden public bath house that was based on the image of an old Japanese style house. 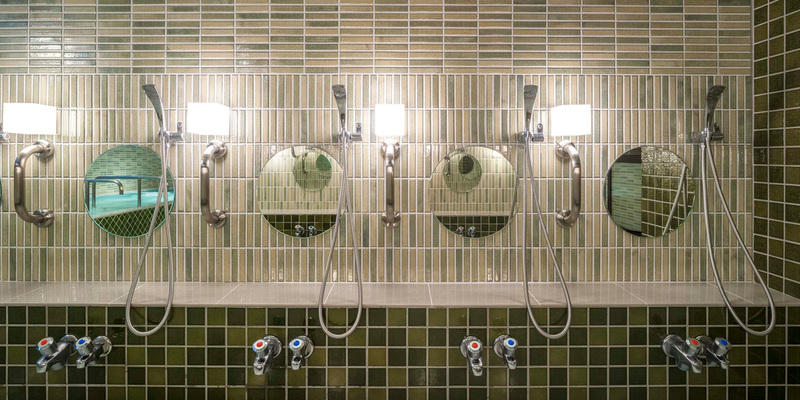 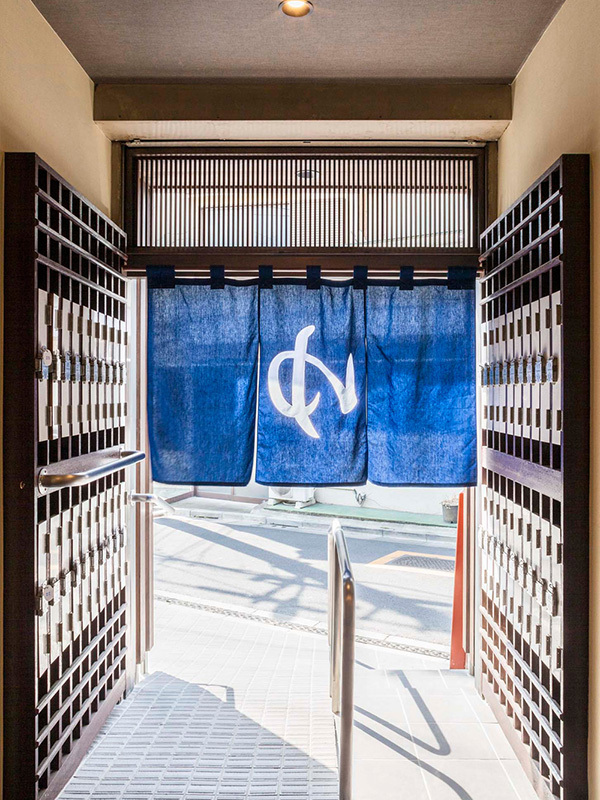 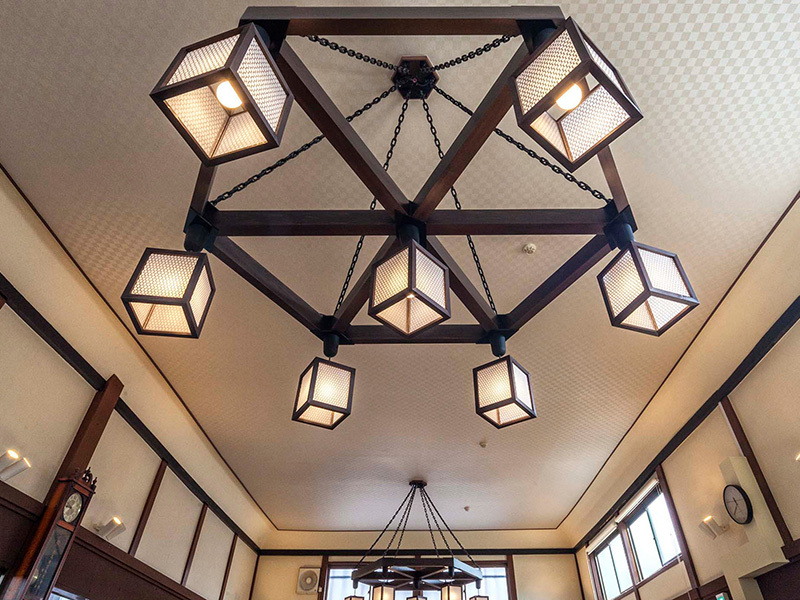 A low-cost project using the good asset of the high-ceilinged characteristic of public bath house Kanto area. 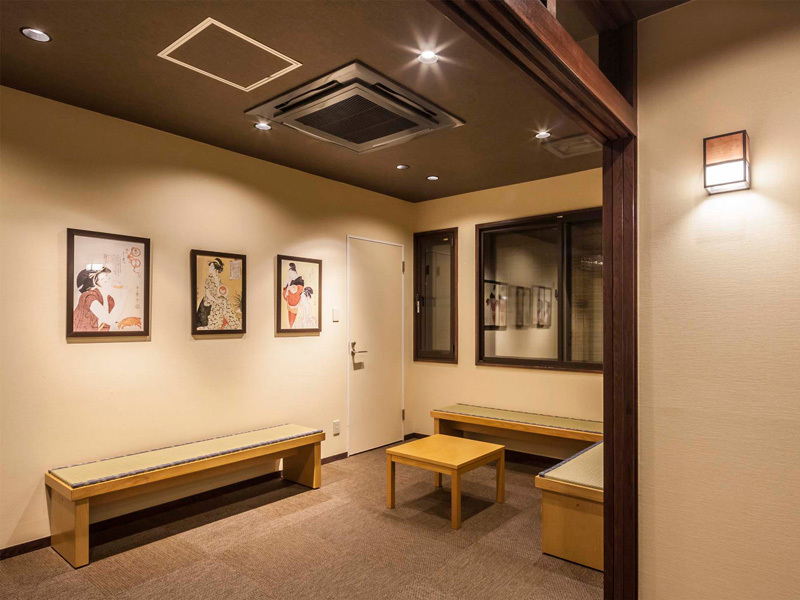 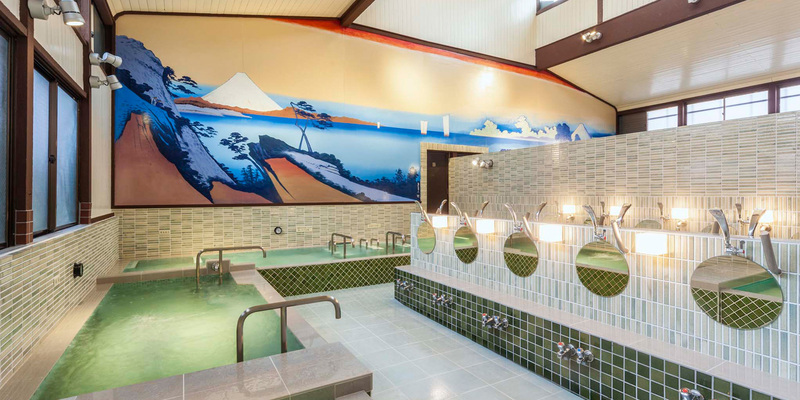 A painted picture on the bathroom wall was drawn by Mr. Kiyoto Maruyama and Mr. Morio Nakashima. 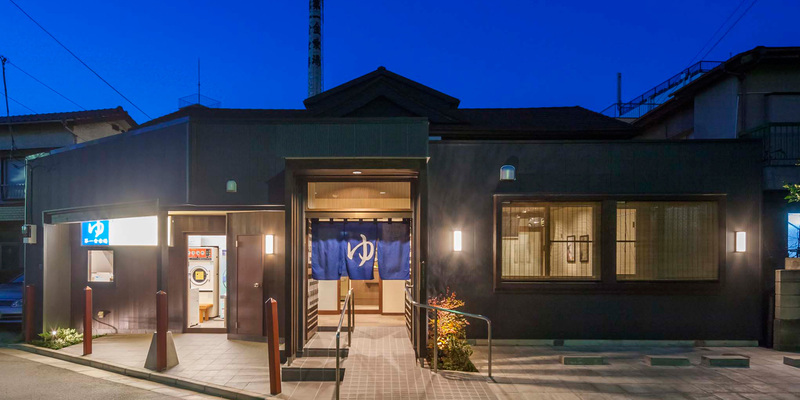 The motif was based on Hokusai Katsushika’s and Hiroshige Ando’s original Ukiyoe.